Rs. 25,000/- per month for 2 years and Rs. 28,000/- per month in 3rd year. GATE-qualified and good knowledge of fundamentals in refrigeration and air-conditioning and a strong desire to help combat air pollution in India. Every year over 1 million people in our country die prematurely due to inhaling polluted air containing outdoor PM₂.₅ (particles smaller than 2.5 microns in size). However, a large portion of people’s exposure to “outdoor” PM₂.₅ occurs indoors (in buildings) since the PM₂.₅ present outdoors can easily find its way indoors through air ventilation and infiltration. Furthermore, because people spend up to 87% of their time indoors, the majority of PM₂.₅ inhalation occurs indoors. Thus, to combat the adverse health effects of PM₂.₅, people’s indoor exposure should be reduced by filtering PM₂.₅ from the indoor air. Indoor plants can serve as natural airfilters since they are known to remove gaseous and particulate air pollutants from the air through pollutant uptake by their leaves, stems and associated micro-organisms. However, the real-world potential of indoor plants for removing airborne PM₂.₅ is largely unknown. It is also unknown, which plant species would be most effective in removing PM₂.₅; and how environmental factors (humidity, lighting, ventilation) impact PM₂.₅ removal. Thus, this research is motivated by the need to protect public from the adverse health effects of PM₂.₅ by using indoor plants for PM₂.₅ removal.  Candidates should email bio-data to the PI (aakashrai@gmail.com) by 31st March 2019.  Shortlisted candidates will be informed through email and called for interview to be held at Mechanical Engineering Department, BITS-Pilani, (Pilani Campus), Rajasthan. 1. For any queries regarding the position, please feel free to email the PI. 2. The position mentioned is temporary and for the period of duration of the project (3 years). 3. Selected candidate will be encouraged to join the Ph.D. program of BITS-Pilani as per institute rules. 4. If performance of candidate is found unsatisfactory, the position can be terminated with 1-month notice. 5. No TA/DA will be paid for attending the interview. 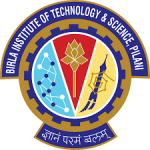 Junior Research Fellow Vacancy – Last Date 31 March 2019 (Jaipur, Rajasthan), Birla Institute of Technology and Science Pilani (BITS Pilani) recruits Junior Research Fellow Post. M.E./M.Tech., GATE qualified experienced candidates can apply. The Birla Institute of Technology & Science, BITS Pilani is an all-India Institute for higher education. The primary motive of BITS is to “train young men and women able and eager to create and put into action such ideas, methods, techniques and information”. The Institute is a dream come true of its founder late Mr G.D.Birla – an eminent industrialist, a participant in Indian freedom struggle and a close associate of the Father of Indian Nation late Mr. Mohandas Karamchand Gandhi (Mahatma Gandhi). What started in early 1900s as a small school, blossomed into a set of colleges for higher education, ranging from the Humanities to Engineering until 1964 when all these colleges amalgamated to culminate into a unique Indian University of International standing. This university was christened as the Birla Institute of Technology and Science, Pilani, known to many as BITS, Pilani.